Have you finally decided that an electric gate is required for your home or business? 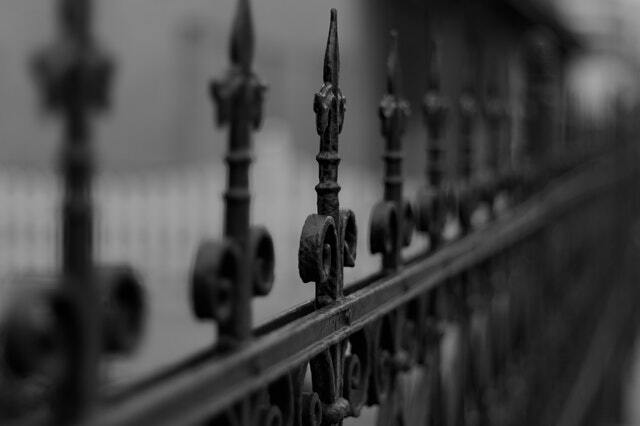 Now, you’re onto the next step, selecting the best electric gate system for your property. There are two main types of electric gates based on the manner of how they open, swing gates and sliding gates. 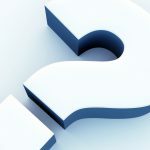 In this article, we delve deeper into electric sliding gates and all the available functions. Electric sliding gates open sideways from left to right. This type of gate is typically requested by most commercial property owners to maximise their space while still ensuring easy access for vehicles. However, an electric sliding gate is also highly recommended for residential properties with limited space or in a high-traffic location, which would not be able to accommodate an electric gate that opens inward or outward. V-track electric sliding gates are fitted with wheels at the bottom part and slide through a metal track that is laid out on the ground. As the name suggests, the track of this electric gate system has a distinct triangular shape in the middle that resembles an inverted letter “V” when installed. The V-track electric sliding gate is an excellent choice if it does not snow heavily in your area and there is no chance for the gate’s embedded track to get buried deep in ice. It should also always be well-maintained and cleaned regularly for debris that could block or stick to the gate’s wheels. Rolling gates are also equipped with rubber wheels at the bottom to keep them moving but they do not require a special track like the v-track sliding gates. This type of electric sliding gate is ideal for homeowners who want a clean and chic look for their driveway. A telescopic sliding gate is a multiple-piece electric gate system, which is otherwise known as tandem gates. It works best in instances where there is no available space on either side of the driveway to accommodate the panels when they open. It works by systematically stacking the gates onto each other when they open and spreading out when they close. 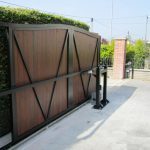 Another advantage of this unique electric gate system is that the panels can be customised to fit specific slopes and terrains by making some pieces longer or shorter than the rest. Telescopic sliding gates are the perfect space-saving solution without skimping on style and functionality. Cantilever sliding gates are your best bet if it snows a lot where you live or if your driveway is not concrete or unpaved. This type of electric gate system is elevated and supported from the rails on the side of the gate, it does not need to have contact with the ground in order to open up or close. Cantilever sliding gates also open smoothly and quietly. Consult experts on electric sliding gates. If you are confused as to what type of electric gate suits your property best, don’t fret. Electric gates are specially made to order and designed to accurately fit your specifications and requirements. TPS Gates & Doors are a trusted name in the electric gates industry. We have been servicing clients around the UK for over 20 years with our signature high-quality electric gates, modern automation systems and exceptional levels of craftsmanship and customer service. We do everything in-house, from manufacturing, installation and maintenance. For a free consultation or to request a quotation on our electric gates, please call us on 01172 810397 or email us at [email protected] A member of the TPS Gates & Doors team will be more than happy to assist you.